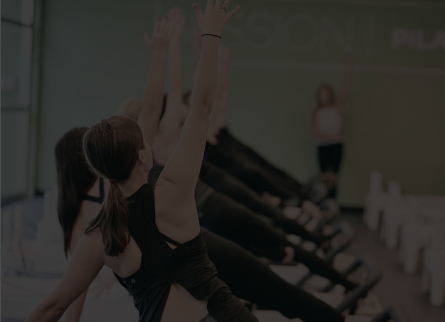 SESSION is a 50-minute full mind and body experience that gets you out of your head and connects you to movement. Our music-driven workout will have you moving from one exercise into the next, minimizing time wasted and keeping you in sync and focused on the workout. 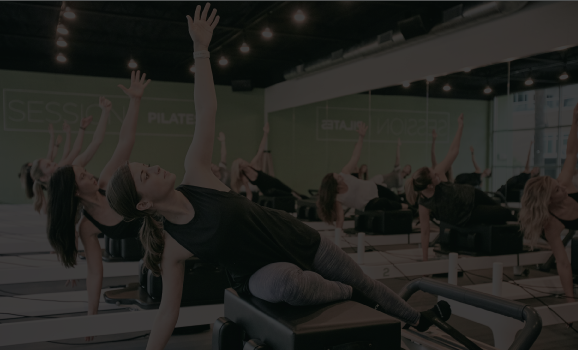 Using the Allegro 2 Pilates reformer, you’ll get the tailor-fit physique you desire, but more importantly you will experience 50 minutes of checking out of your day and into your body. So step away from your to-do list, grab your water and your non-slip socks… because it is time for your SESSION. SESSION has proudly partnered with the Family Place to help provide safety and opportunity for families experiencing domestic violence. 38% of Texas women have experienced intimate partner violence. Because of this, SESSION has committed to host dedicated monthly classes that will help raise awareness and funds for the Family Place. In addition, SESSION will also donate a portion of the proceeds of the “WE BEND, WE DON’T BREAK” retail sold. 50-minutes of a full-body muscular breakdown using the Allegro 2 reformer. As you move to the energizing music be ready to increase your heart rate as well. No experience required, but non-slip socks are. Come ready to work! This 60-minute workout will have your heart pumping and muscles shaking, and is designed to push you to your edge. This SESSION is for experienced clients who are looking for a challenge.